The Roots Love Yoga Teacher Training is a 4-month long program that meets 6 weekends, 20 hours per weekend, 6 hours of Ashtanga Yoga/ Mysore Practice per week. This program is approved by Yoga Alliance at the 200-hour level for national certification. Roots, Love, Yoga presents a 10-day experience designed to consciously explore, experience, and promote a more vibrant and present way of life. Through the daily practice of yoga and meditation, you will cultivate tools to help you access the wisdom that lives deep within you. The intention is to provide and embody an education necessary to establish a personal practice and a safe, healthy, long-term relationship with yoga. You will join a holistic program aimed at preparing you for an in-depth exploration into the practice of Yoga (as a lifestyle, with a non-dualistic worldview, and potentially a profession).Enrollment is limited to 12 students. From Puerto Rico to Boulder, Colorado, come join me as we establish a personal practice and a safe, healthy, long-term relationship with yoga. You will learn everything from handstands and inversions to deep front body lengthening and all variations of backbends, twists, and forward folds. Get ready to open beautifully and soften into Being. All are welcome to join! Can't Make it to an in person retreat or intensive workshop? No worries! You can follow along with me through my online classes. From beginner to advanced, I guide you through a 30-60 minute practice. Where to begin!? 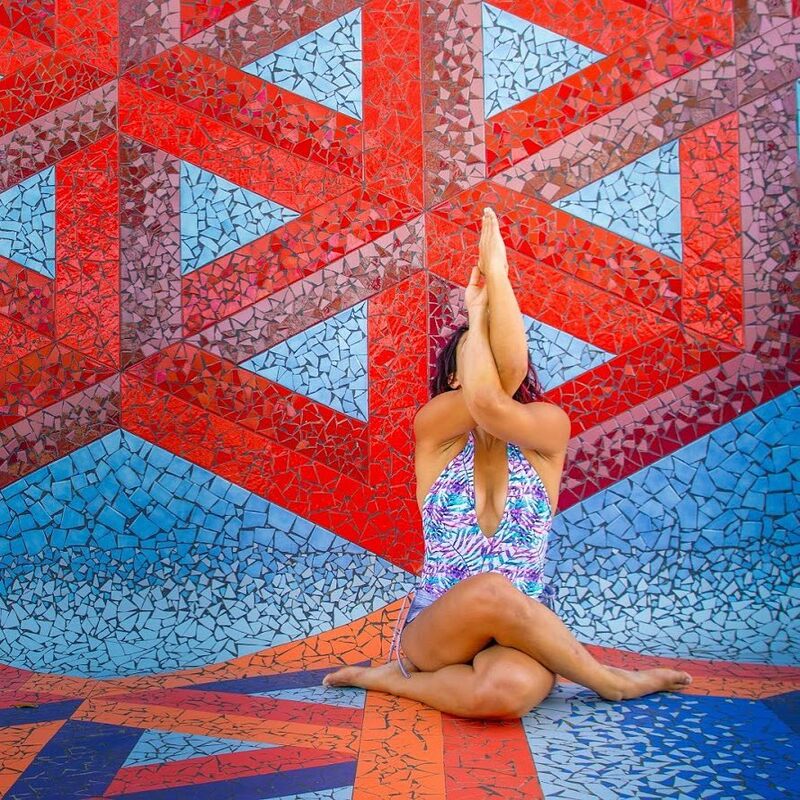 Marie Belle’s yoga retreat in Costa Rica, Nosara was a trip of a lifetime! Marie Belle provided a flurry of amazing yoga classes - teaching all styles while encouraging advancements. She very thoughtfully worked one on one with all members of the retreat to extend our abilities. As she purposefully arranged this trip’s small group - having a more intimate gathering meant solid teaching moments. We all had voices and we could all be focused on accordingly. She also provided a steady pace of yoga classes. The schedule provided involved morning classes daily with additional yoga practices every other afternoon. To keep things interesting, she also added workshops with herself and other staff to broaden our view of the body and overall movement. We could focus on one idea, or more on another depending on the course. There was a lot of physical and even mental exploration. Come ring in the New Year in Nosara, Costa Rica with us. 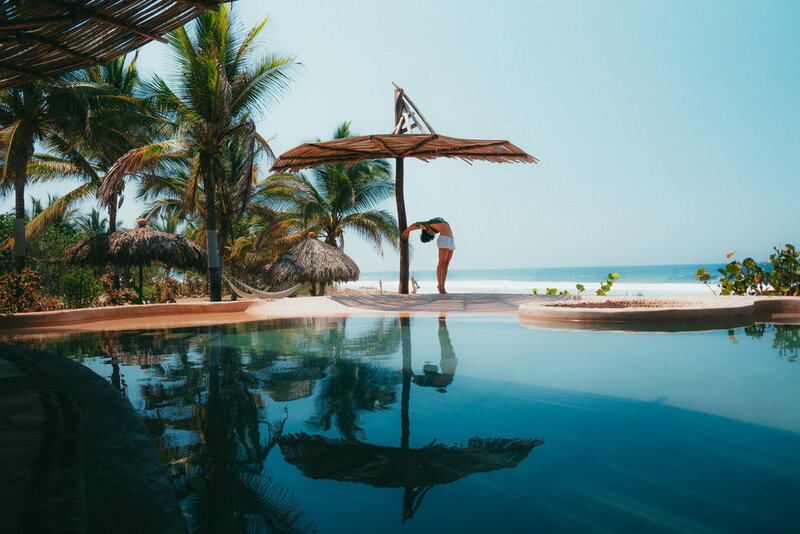 We will practice yoga and movement daily, eat amazingly healthy food, enjoy our own private beach and shala, and much more. Get ready to shed outdated ways of being and navigate your way into optimal living. Begin the new year with intention, clarity, and resonance. Email for more information.